“Oh my god! Kuya, there’s a snake!” I whispered nervously as we were nearing the exit of Lobo Cave. 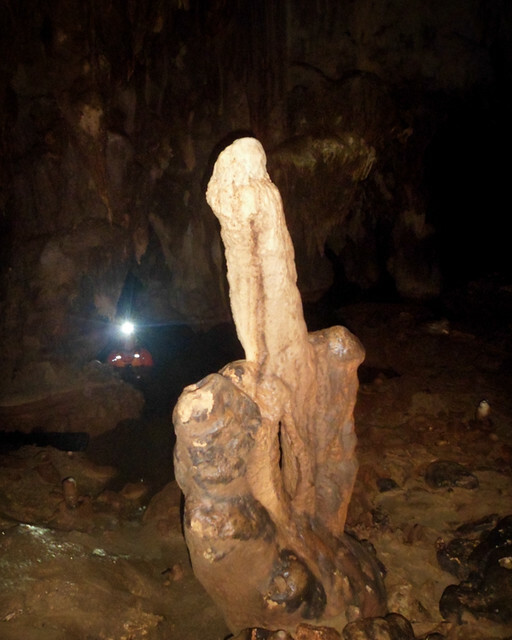 I have been to the other caves in Samar and so far, nothing unfavorable has ever happened. Not that I pray for something like that to happen but we can never know what the future holds for us. 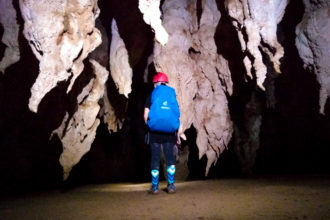 Late last year, I went on a 3-day extreme spelunking adventure in the largest cave system in the Philippines. 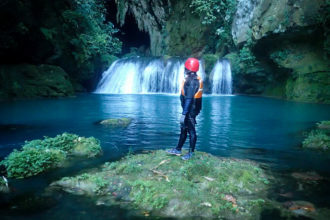 And the day before this caving trip in Lobo Cave, I also did a 2-day extreme spelunking adventure in Pinipisakan Falls and Sulpan Cave. How absolutely wrong I was. 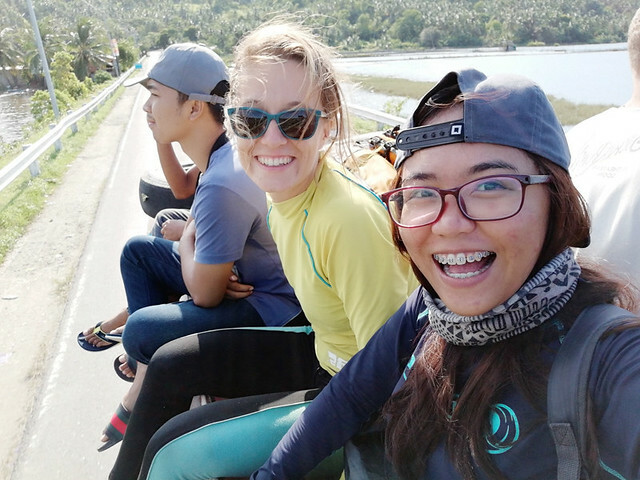 It was already my fourth day in Samar, and some of my travel companions already left. It was just this Polish girl, a French dude, and me. 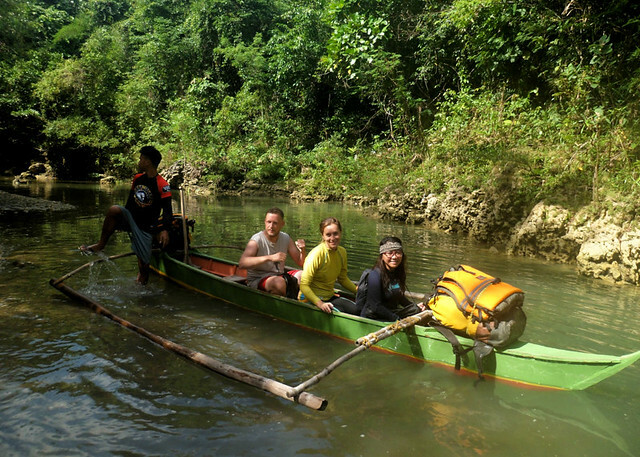 We were introduced to another local guide who will bring us to Lobo cave. Joni was unable to come with us because he needed to go back to Pinipisakan Falls to guide new guests. Barangay Tagbayaon is not far from where we were staying in Catbalogan City. A 15-minute jeepney ride and we arrived at this junction where we chartered a habal-habal going to the jump-off. 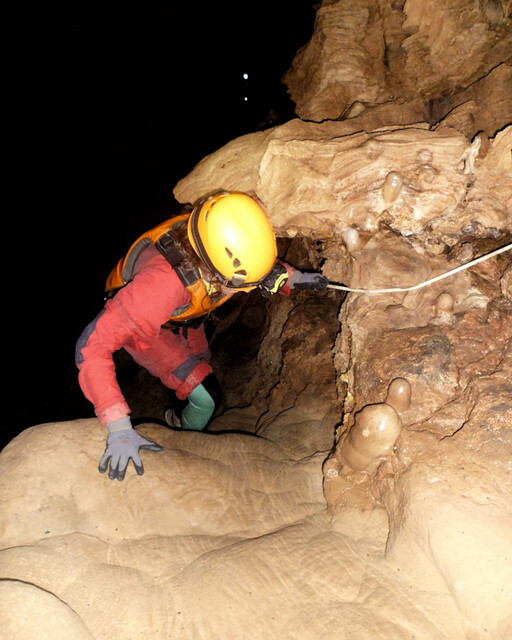 From the jump-off, it was a 40-minute downhill trek going to the main level entrance of Lobo cave. 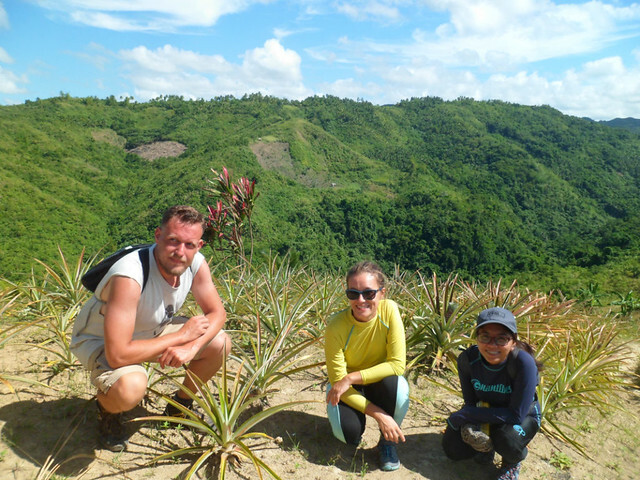 We passed by several plantations along the way, but the thing that definitely caught my eye was these cute pineapple plants along the way. I have only seen full-grown pineapple fruits in the past so it was a first to see tiny pineapples that looked like probably only a few weeks old. Ana, Nikola, and I could not resist having our photos taken in this cute plantation. 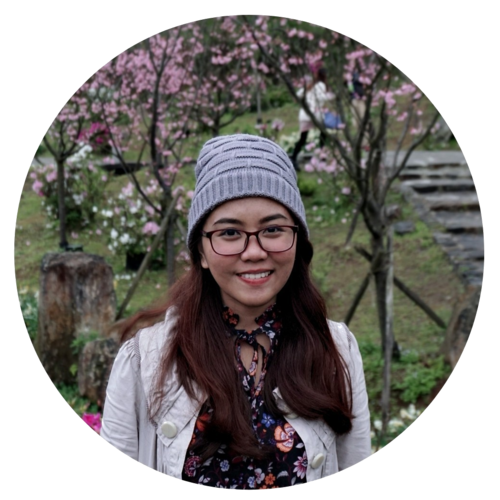 I was pacing way too fast that even our guides giggled and told me I looked like I was about to have diarrhea. Haha! I couldn’t help it. I was super excited! 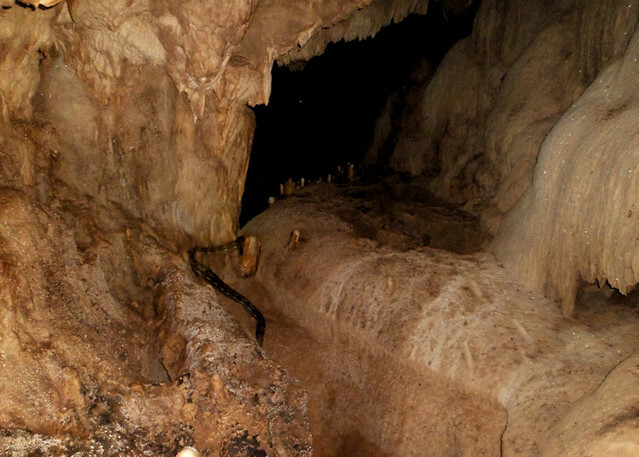 After less than an hour of trekking, we rested for several minutes at the entrance of Lobo cave. 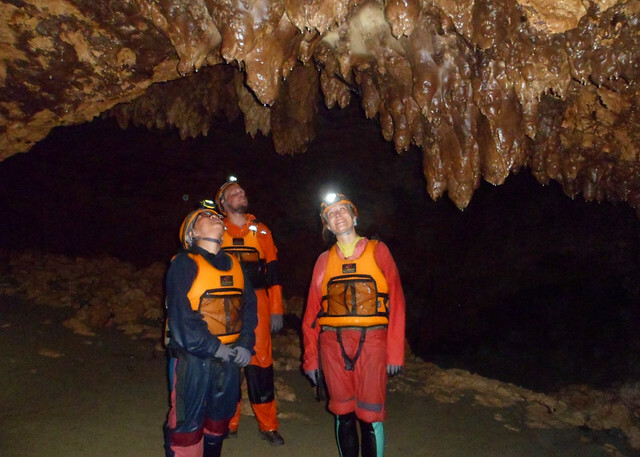 While all of us changed to our caving suits, our guide gave us a brief orientation on what to expect inside and some do’s and don’ts. 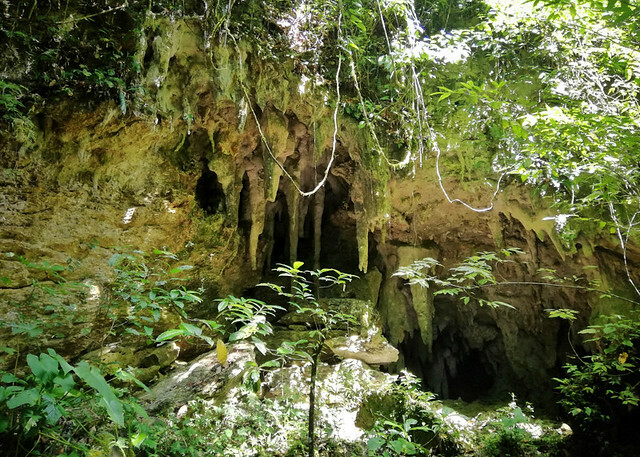 Lobo Cave’s entrance is adorned with rugged stalactites and stalagmites, that if you look at it from the outside, you will barely see the seemingly concealed passageway. The surrounding area of the cave’s entrance has large roots clinging to every side, coming from the thick and verdant forest around us. The area was evidently refreshing and I could even hint the invigorating smell of the damp leaves and trees around me. We savored a few minutes of fresh air and sunlight before we proceeded to the world waiting ahead. 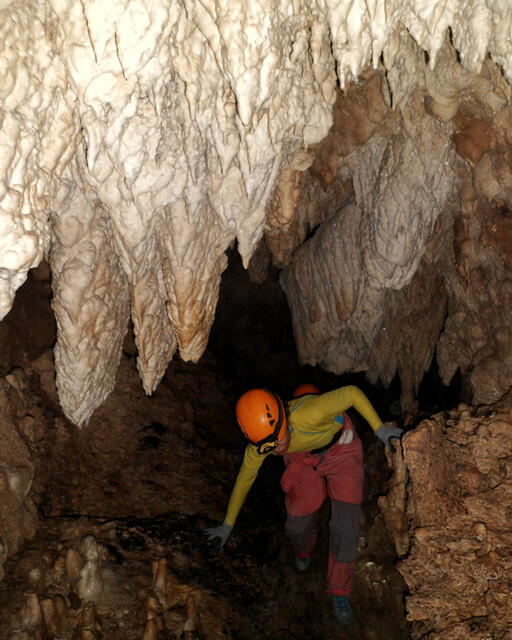 The moment I stepped inside the dark passageway of Lobo Cave, I immediately saw glittering calcites around me. Rugged stalactites were all around that one must be very careful not to hit his or her head while navigating the dark passageway. 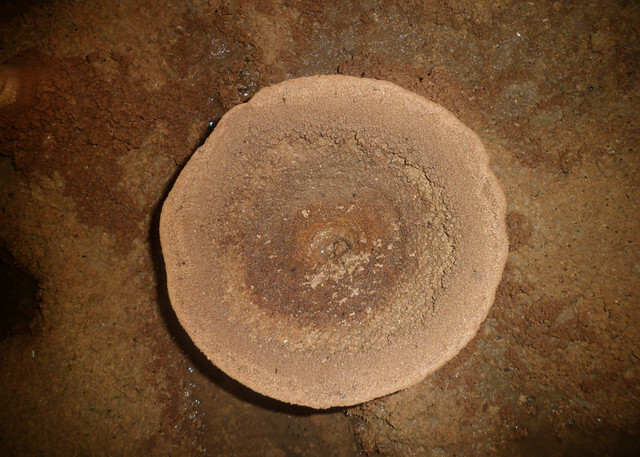 After only a few minutes, we arrived at this small chamber that houses a column that resembles an ‘angel wings’. 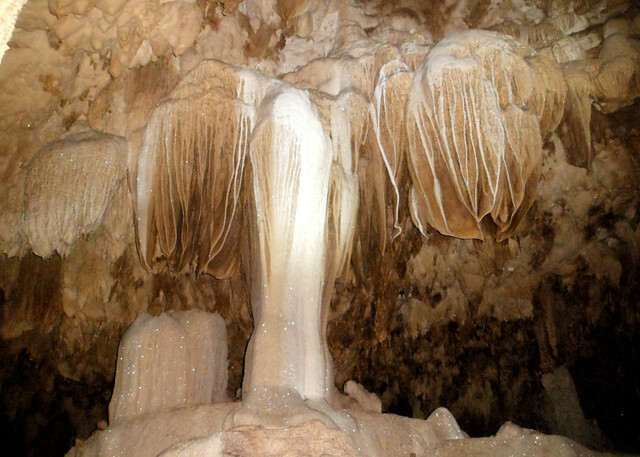 The stalagmites and stalagmites of this natural formation are glittering like diamonds and crystals. Despite having seen so many majestic structures in the past, one can never lose this awe and admiration every time there’s a new natural formation right in front of you. Even more so, it glitters majestically at the softest touch of our headlamps. Such beauty in the dark! As we moved farther to the left, towards the lower level heading to the river, I could see the impending struggle I would embark on. 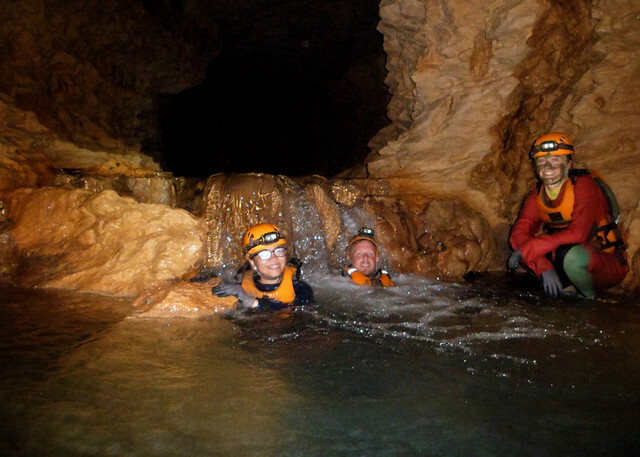 Lobo cave is home to a rich aquatic environment – from underground rivers, lakes, waterfalls, and small pools. Wading through these waters is necessary in order to pass from one passageway to another. Swimming has always been a struggle for me. 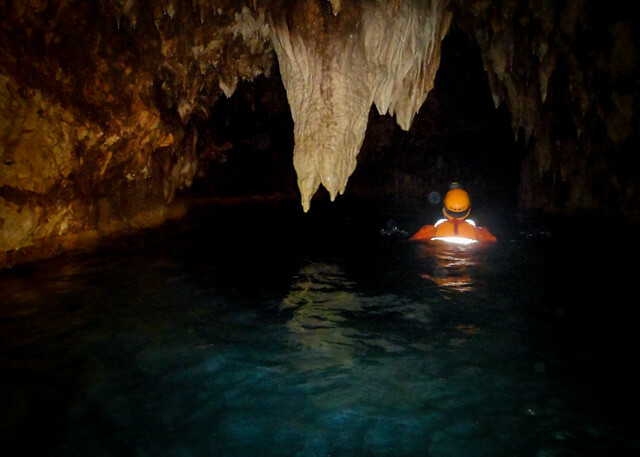 Before this trip, I made myself clear to the guide that I would need all the help I can get in order to wade through the waters of Lobo cave. Thanks to our marvelous guide, I managed to survive the whole ordeal. We passed through long passageways that connect to the river. 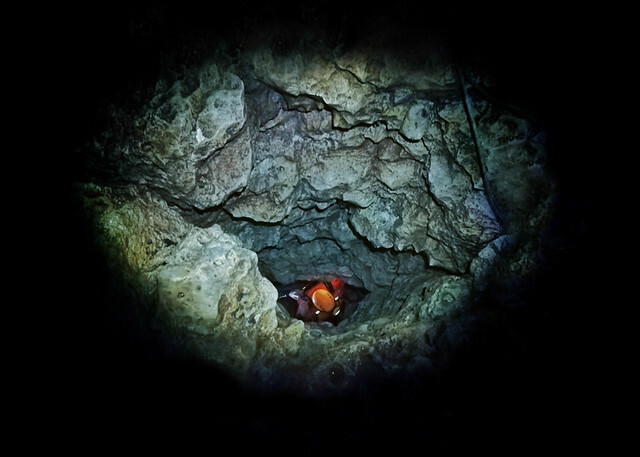 The whole adventure consisted of 80% of swimming, and at times, seemingly endless minutes of wading through the dark waters. It was bone-tiring. 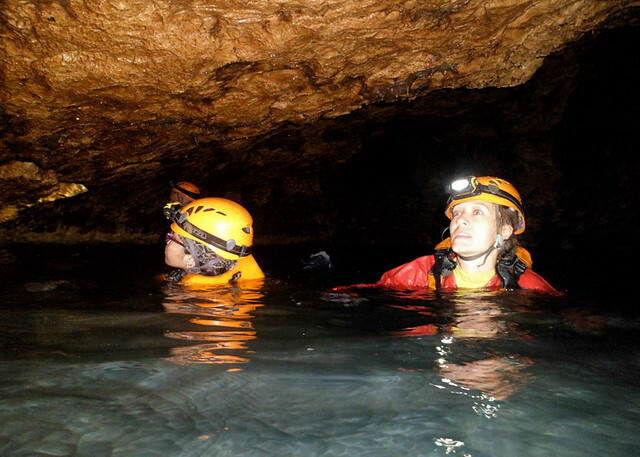 Apart from the sound made by our movements in the water and the silent drippings of water from the cave’s ceiling, it was utterly quiet. 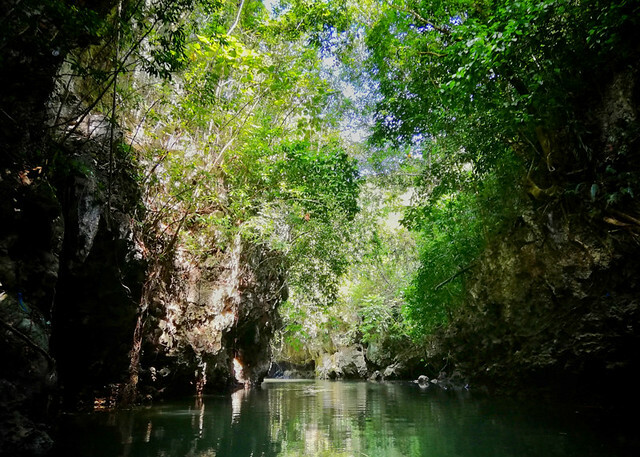 We passed through several narrow passageways that looks like it has been shaped by the flowing water from the underground river. 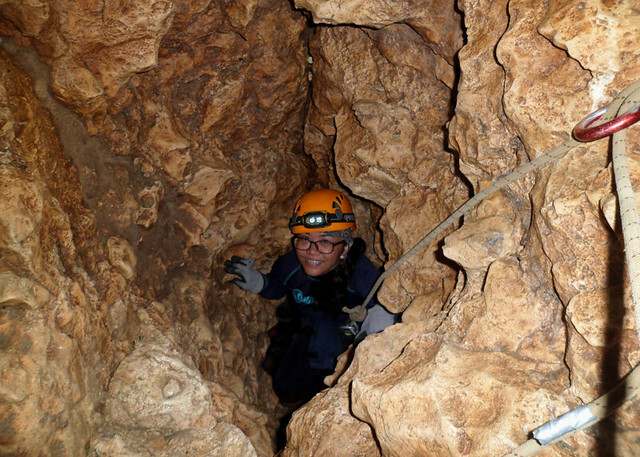 It’s as if we were exploring an intricately-designed tunnel with hundreds of majestic speleothems in view. 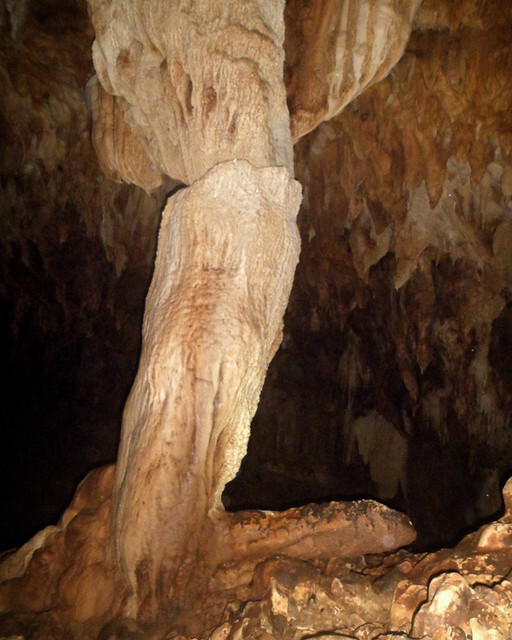 The night before, I asked Joni, “Of all the caves you have explored and discovered in Samar, which one is your most favorite?” With no hesitation at all, he answered, “Lobo Cave”. From one chamber and passageway to another, I could see why this is the cave master’s favorite. 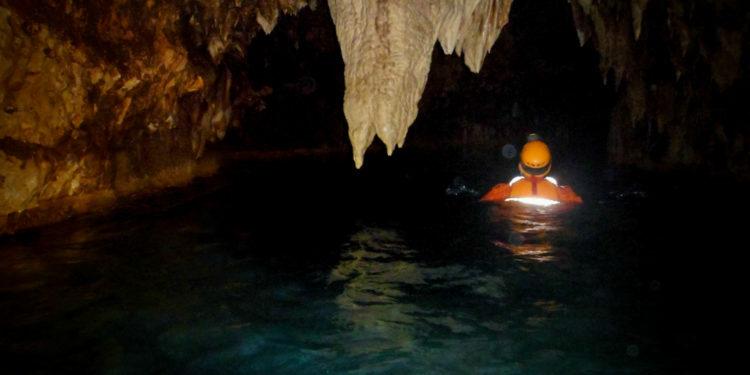 I don’t have enough words to describe the beauty of Lobo Cave. Such beauty that couldn’t even totally be captured through a lens. You would have to be there to understand it yourself. We moved even farther and right ahead was a two-tiered waterfall. I took the chance of bathing in its cool waters. A few meters from this beautiful waterfall are small pool formations and I immediately jumped onto it with a huge splash. The adventure is far from over. We went to another passageway and I noticed that the ground was starting to get a little sticky. Looking up at the ceiling, the stalactites and stalagmites in this area are dark-colored which I think looks like giant chocolate pretzels. 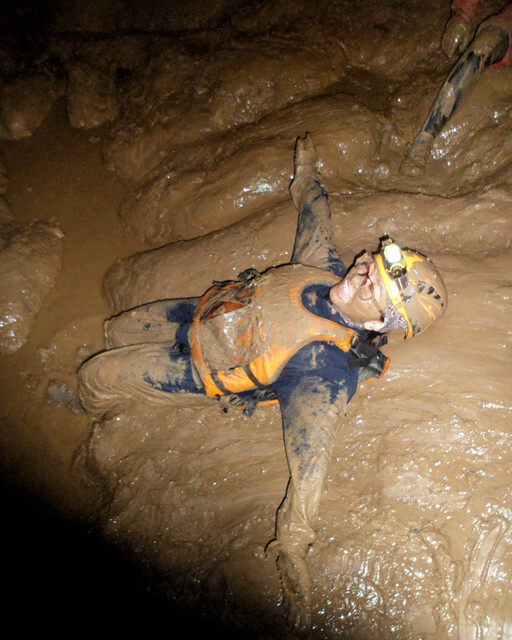 The guide told us that we were nearing the Mud Chamber. 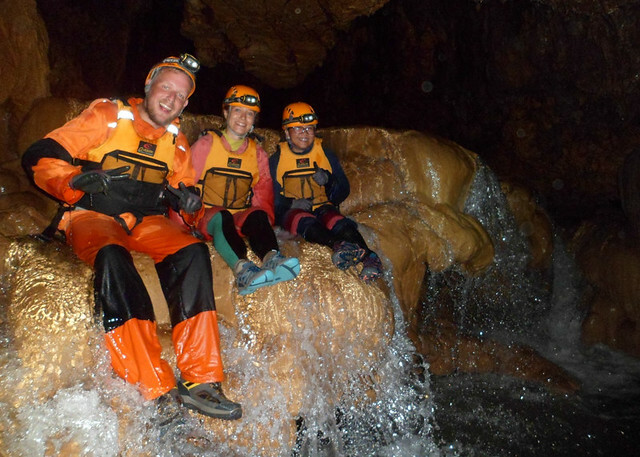 True to its name, we found ourselves in a small space with hundreds of stalactites in the ceiling, slowly dripping with droplets of water onto the muddy ground which resulted to the formation of a pool of mud. Ana, Nikola, and I made the chamber our small playground for the day. Who would have thought you would find a chocolate factory underground? Kidding. But in my defense, I did look like I am swimming in a chocolate pool. Here’s the thing; we were told that if by 12 noon, we still haven’t gone back to the junction where we started earlier, we will not be able to proceed to the upper level. We have to abide by the right schedule in order to avoid any unfavorable circumstances. Luckily, all of us were pretty fast and we arrived back at the junction by 11 AM. Man, we were an hour early! 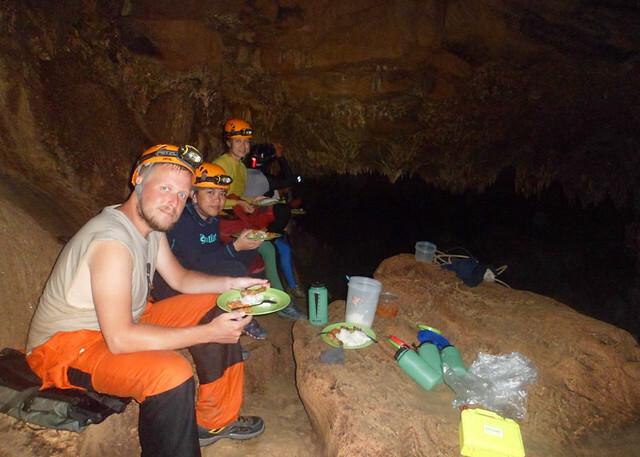 So we took our time in eating our lunch before we proceeded to the upper level of Lobo Cave. Right after a satisfying meal, our guides prepared a safety line so we can safely climb. It was not a difficult area to climb and there were lots of footholds you can step on but since the rocks are a little slippery, ropes and a body harness was prepared. It’s wise to be prepared at all times. After all, safety is number one priority. After several minutes, we finally arrived at the King’s Chamber. 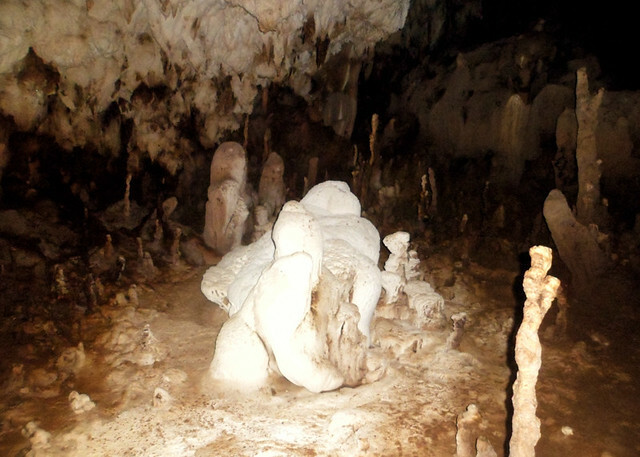 True its name, it holds the most magnificent speleothems of Lobo Cave. A giant calcite flowstone stands tall among others. 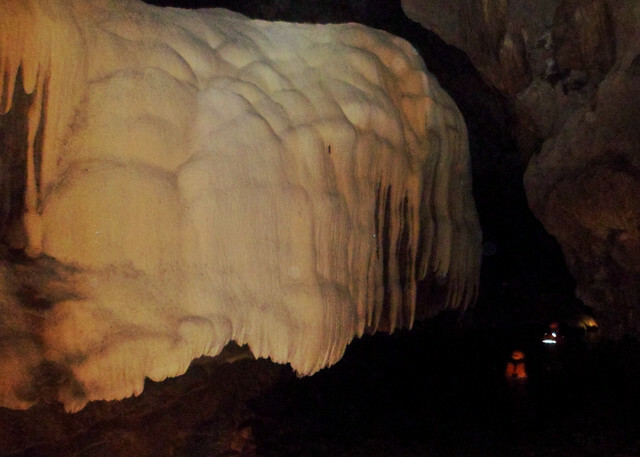 Sparkling stalactites and stalagmites covered the whole place as if it is filled with glittering treasures. A perfect place for a king. 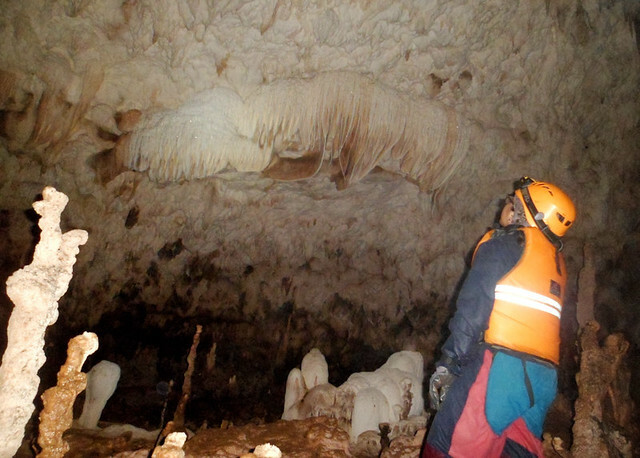 I marveled at the sight of the sparkling cave ceiling in front of me. To me, these frosted calcites looked like glittering snow, covering the whole chamber. It was definitely a sight to behold. Oh boy. Mother Nature will definitely humble your ego. My two travel companions, Ana and Nikola, were trailing behind me. We were stuck in our positions. There was no other way to the exit so we had to wait until this python would slither away. But this python couldn’t be bothered. So our guide gave us two options. Either we would wait patiently until the snake would go away or we’d take a slight detour to another exit so we can visit a large bat colony. We opted for option two. 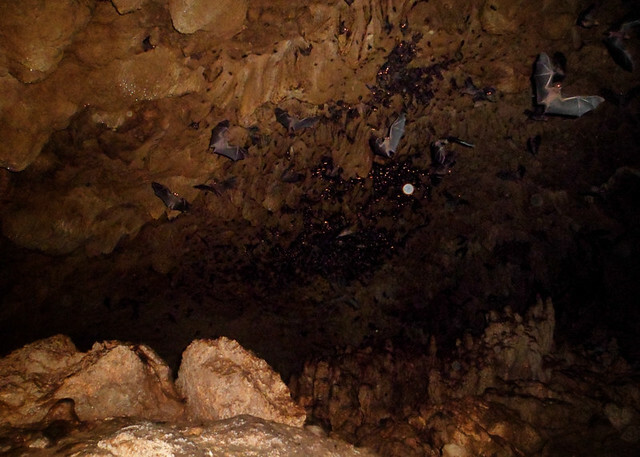 So we went to the far left side from where we were standing and after just a few minutes, we were welcomed by a swarm of bats flying from all directions! I had to cover my face because it was crazy! After a few minutes of taking photos of bats, we went back and the python was already gone. But we were suddenly all wary of our surroundings because there might be another one just slithering beside us. It got to a point that we would accuse every silhouette of a rock or log as a snake! Haha! Funny how a snake encounter can keep you present at all times. We swam a bit longer in the river and scrambled our way to the exit. At long last, we finally saw the light. From the exit, it took us another hour of trekking the jungle all the way to Tingob River. A boat was waiting for us at the docking area that would bring us to the town of Jiabong. At the end of our trek, we chanced upon this family lazily resting at the side of the river drinking tuba or coconut wine. 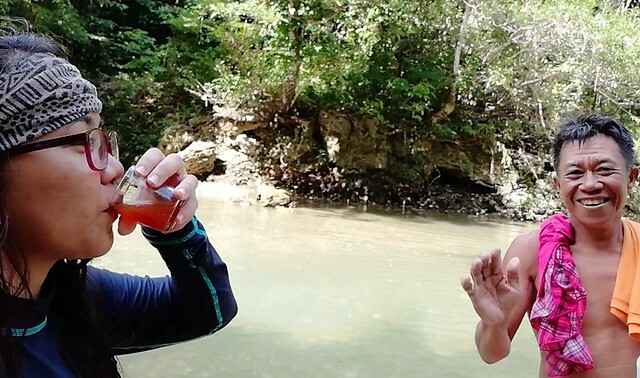 An old man wished us a safe trip back and offered us a shot. I don’t drink but how could you say no to such warm gesture? So I accepted his offer and off we boarded our boat going back to the town. We passed by so many beautiful riverside gardens. I could only hear the sound of the birds chirping and the lazy sound of the water. I was glad we didn’t ride a motorized boat so it was a chill ride back to the town. 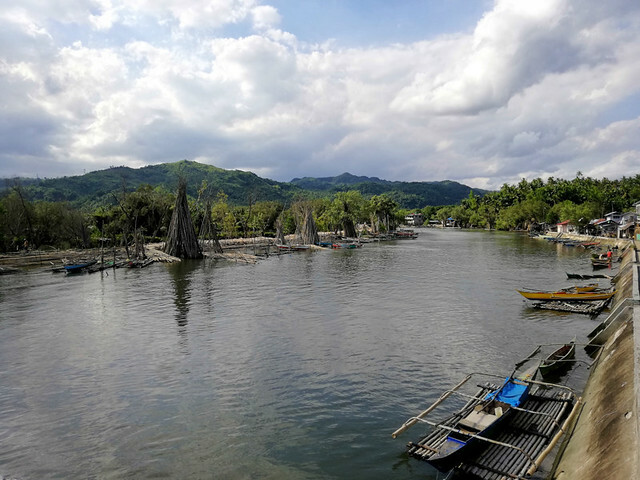 Jiabong is considered as the tahong (mussels) capital of the Philippines. Thus explains the teepee-like structures I’ve witnessed. These teepee-like structures are bamboo poles alternatively stacked vertically and horizontally. This is where mussels spawn. When we arrived the main road, we hailed a jeepney that would bring us back to Catbalogan City. I’ve done so many dangerous things in my life but I haven’t tried toploading. I grabbed the opportunity and along with Ana and Nikola, we climbed on the roof of the jeepney. Jesus Christ, it was crazy! The road on the way back to Catbalogan City has several twists and turns. I was giggling the whole time. What a great experience! Just don’t tell my Mama.